Luke Browning stormed to an emphatic victory in damp conditions during the opening round of the 2019 F4 British Championship certified by FIA – powered by Ford EcoBoost at Brands Hatch. The 17-year-old blitzed the field on debut after starting 10th on the grid in his Richardson Racing car to give both himself and the team their first British F4 race wins. Double R Racing‘s Sebastian Alvarez crossed the line in second place, four seconds adrift with Zane Maloney rounding off the podium in third – giving Carlin their century of podium finishes on their return to the series. Tommy Foster finished fourth for Arden Motorsport with teammate Bart Horsten just behind in fifth place. Joe Turney was unable to convert pole to victory as he endured a difficult start to the race but was comfortably holding on to fifth place until Horsten dived up his inside with a terrific late-braking move in the closing laps, dropping the Brit to sixth. Behind Turney in seventh place was Louis Foster in the second Double R Racing machine, with Josh Skelton a further 15 seconds back after a tough race for the JHR Developments driver. Carter Williams was also off the pace as he finished ninth after qualifying an impressive fourth. Roberto Faria and Mariano Martinez both finished one lap down on the race winner in tenth and eleventh places respectively whilst drama on the opening lap saw Saudi Arabia’s Reema Juffali limp back to the pits with damage where she lost five laps and rounded off the race in twelfth place for Double R Racing. 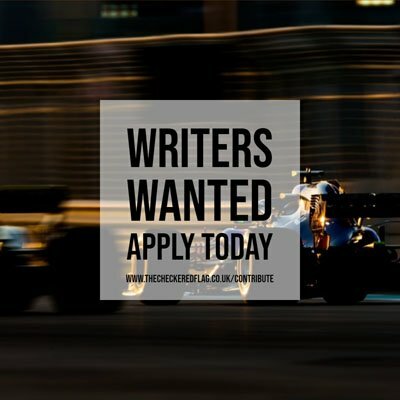 Tom is a freelance motorsport journalist. As well as being The Checkered Flag's lead British F4 reporter, Tom is also studying for a Sports Journalism degree at Solent University and joined the Autosport Academy at the start of 2019.